Wine etiquette is an art that is rather learnt over time in order to proficiently master its integrities. 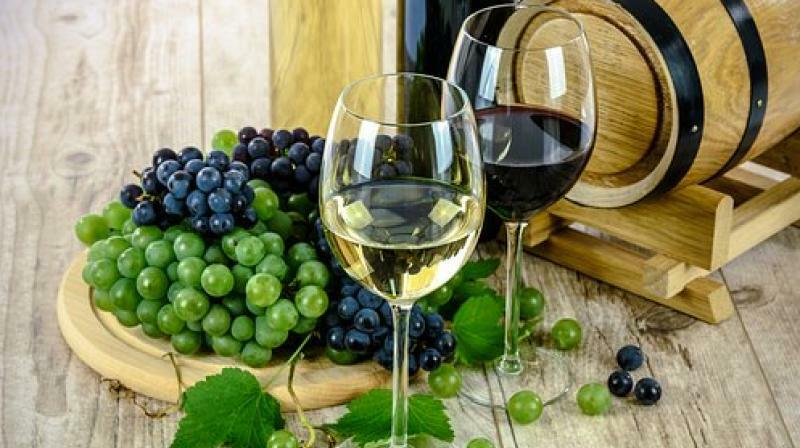 Wine is a drink that is notoriously known to have scared / put many off, due to the many notions of its complexity and the ‘only for the sophisticated label’ attached to it. There are many who are unsettled or say afraid of entering a tasting room, cellar or even purchasing the beverage in the fear of handling it incorrectly. For centuries, it had been projected that if one is picking wine over other beverages, than he or she must either be a connoisseur or be completely cognizant of all the rules encompassing the wine etiquette. Wine etiquette is an art that is rather learnt overtime in order to proficiently master its integrities, however, for the general folks who occasionally relish a glass or two, knowing the right way to handle the drink would only add to the overall experience of the vino. The act of consuming wine, though infamously overwhelming, is quite simple and easy, if one is able to correctly figure: Whether you are consuming the correct wine? Are you able to couple it with the true plate? What is the right way to serve? What is the right way to hold? amongst others. From my experience, a primary etiquette that can amp up the experience to truly reveal the diverse notes and palates of the beverage is the glass it is consumed in. From the diverse range available, you will notice that each glass is made with particular specifications, with noticeable differences and shapes and sizes, especially of the bowl. The difference exists, not only for design sake, but for the way it collects the aroma of the vino and adds to the overall process of depositing the same in your mouth. For white wines, smaller glasses with narrower bowls are preferred because they do not require much surface area to breadth like reds do. This also helps maintain the cool temperature of the white wine. On the contrary, red wine needs to oxidize (breathe) in order for its flavour to fully develop, which is why red wine glasses have typically larger bowls. This distinctive bowl shape, allows more of the wine to come into contact with the air, the very reason why it is essential to uncork the bottle only closer to consumption. When drinking wine, always hold the wine glass by its stem and never by the bowl. This is not for style per say, but not only does it leave unsightly greasy finger marks but it also warms the wine too quickly, ruining the drinking experience. Sip - Last but not the least, sip, savour and relish your wine! In conclusion wine, though traditional, wine is a contemporary drink that can be enjoyed by all, if one is ready to let go of their inhibitions and give the beverage the chance it’s worth of. The above mentioned tips and tricks, are just few of the many out there that can truly help simplify the wine drinking process. So take the plunge, fight the fear and cherish the drink! The article has been authored by Vivek Chandramohan, Chief Executive Officer, Grover Zampa Vineyards.